The Bowery Hotel is all dressed up for the holidays. All photos by Anna Petrow. 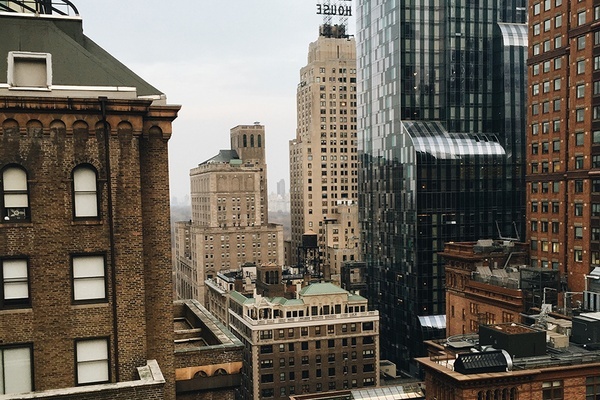 Photographer Anna Petrow charts her itinerary in NYC during the most wonderful time of the year. NEW YORK CITY – Spending Christmas in New York is an annual tradition for me. Sometimes I'm with family, sometimes I'm with friends, but I always make my way back for this magical week. As the tradition evolved, so does my vacationing goals. This year I packed in the festivities but shied away from the typical holiday agenda. I wanted to go big on holiday cheer while minimizing the crowds and clichés. Cheers to that! 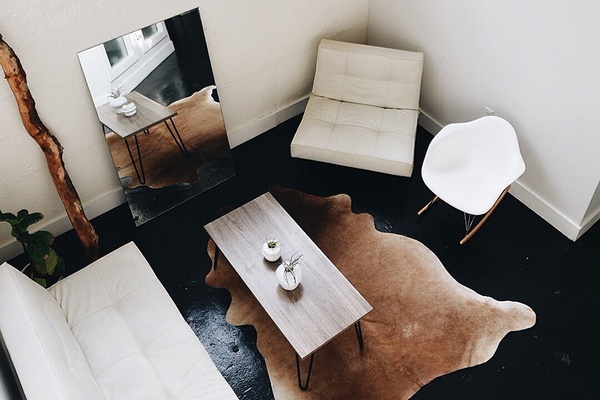 The minimalist and oh-so-cool furnishings at The Boswijk. If authenticity and chill vibes are what you’re looking for in a NYC accommodation, then look no further than The Boswijk, a lodging concept done the Bushwick way — by offering an expansive, multi-level living space that feels like the home of your coolest friend. Filled with natural light and beautiful, minimalistic design, the live-in owners, Shelby, Tron, and Daniela, painstakingly curated four bedrooms and communal areas with local art and handmade furniture. You can rent one room or book the entire place for yourself. Either way, you're greeted at the door and feel at home in no time. Note: Their suggestions for things to do in the neighborhood are on-point! WestHouse Hotel is where it’s at if you want to be in the heart of holiday happenings: Fifth Avenue, Rock Center, the Theater District, Central Park. Tip for out-of-towners: Book the Residence package and take complimentary high tea in the afternoons, cocktail hour in the evenings, and breakfasts on the decorated rooftop terrace with awesome skyscraper views. The Bowery is a legendary hotel in NYC — new-world digs with an old-world aesthetic. The lobby is all magnificent wood, murals, and chinoiserie, with Oriental rugs, low lighting, and antiques. 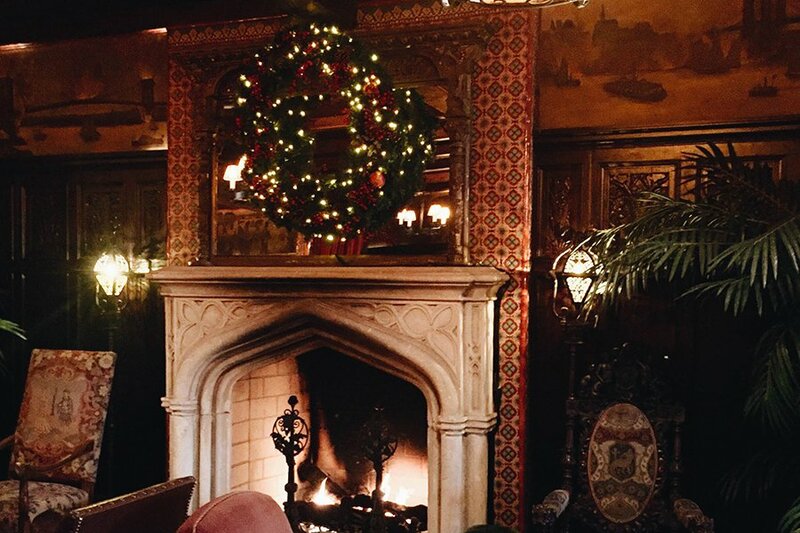 It’s taken to a whole new level during the holidays: The roaring fireplace and twinkling Christmas tree makes it feel like you have been transported back to a medieval Christmas. Guests get first dibs on the plush seating near the fire, where you can sip on spiced mulled wine. But if you think you have it good down in the lobby lounge, just wait until you climb into bed upstairs. Come morning, the huge windows overlooking the downtown cityscape feel like a gift. A Dun-Well doughnut done well. Tis the season to go big or go home with calories. Dominique Ansel (he of cronut fame) puts painstaking efforts into absolutely beautiful holiday pastries — tiny peppermint meringues, a crystalized ginger Nöel Bouche, hot chocolate kits made to look like chocolate forests in a glass bottle. Of course there's a line, but it's nice watching the pastry chefs whip up their creations while you wait. 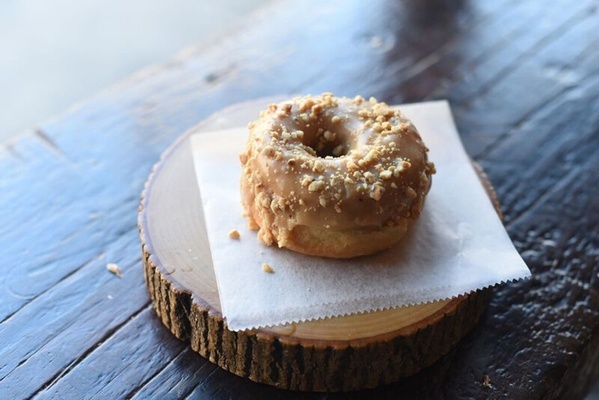 For something a little more under-the-radar (but equally satisfying), pick up a festive box of Dun-Well Donuts in Brooklyn. The gingersnap and Sugared Plum Fairy confections are delicious and vegan, so they won’t weigh you down. The Mast Brothers are known for some of the best (or at least trendiest) chocolate in the country, and the tour will make you appreciate cocoa in its many forms — ending with the artfully wrapped packages the boys are known for (read Fathom's Field Trip to Mast Brothers here). 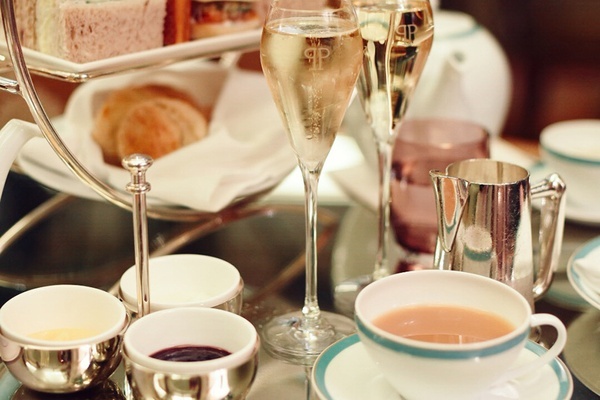 A timeless classic: tea at The Plaza. I can’t think of anything more festive than Christmas tea at The Plaza, with its towering trays of turkey-and-cranberry tea sandwiches, gingerbread macaróns, and slender glasses of Veuve Cliquot. Those traveling with small guests can stop by for Eloise Tea (teeny-tiny PB&Js and gargantuan peppermint cotton candy). Sweet-and-savory scones aside, the soaring ceilings, quiet atmosphere, and intimate seating make the Palm Court a very nice place to reconnect with friends and family while taking in some truly excellent holiday décor. In Nolita’s shopping hub, Rubirosa is a one-stop pizza shop. Despite its diminutive size, there's plenty of cheer: huge wreaths, pine garlands, and Christmas lights strung into every nook and cranny. For hole-in-the-wall-hominess, try the candlelit El Amacen for a festive dinner of melt-in-your-mouth pork shoulder and crispy, cheese-filled empanadas. The Argentine restaurant's extensive wine list (with an impressive variety of Malbecs) will get you into a cozy mood, as will a table next to the old iron fireplace. Babu Ji, the up-and-coming Indian restaurant of Alphabet City, has curry scallops that are wonderful. Sit at the chef’s table and sample whatever they’re in the mood to serve you that evening. 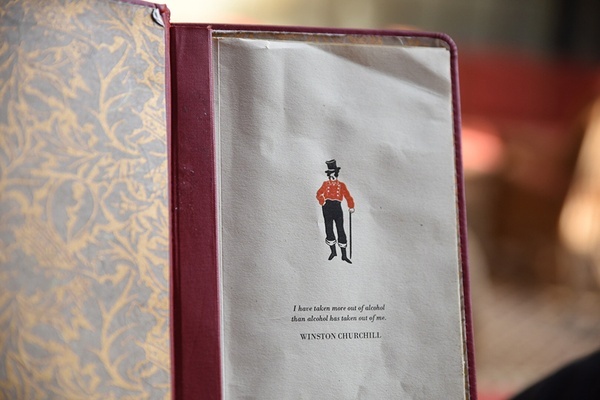 The staff’s hospitality is what really makes this experience — they treat you like family when you walk in the door, whether that means teasing you for ordering the mild version of butter chicken, or dropping by a little taste of some sauce that you just must try. Save room for hot chai after dinner. If you’re like me, it’s not Christmas without a giant Italian meal. I think Perla fits the bill, with seasonal specials like butternut squash arancini mixed in with old standbys like spaghetti amatriciana. Cranberry gelato afterwards is a must. 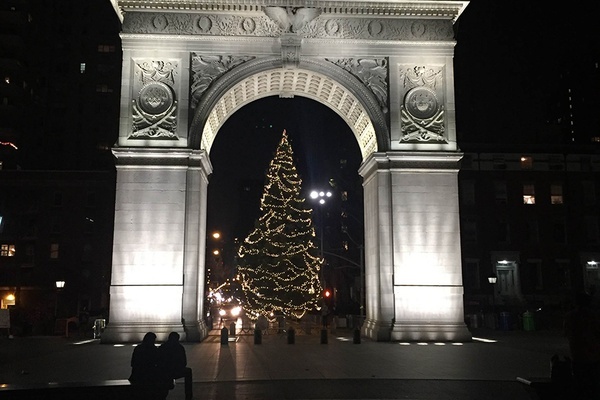 Justify it with an after-dinner walk to nearby Washington Square Park to see the Christmas tree under the arch. Over in Brooklyn, Hotel Delmano mixes cocktail genius (as in: San Francisco Handshake), low lighting, and subtle holiday decor. You'll feel like you're at Hemmingway’s private Christmas party. Admire downtown's low-key tree in Washington Square Park. While watching the skaters go by at Rockefeller Plaza and Central Park is fun in theory, trying to actually navigate the rink and the crowds can leave you feeling Scrooge-y. The Standard, High Line in the Meatpacking runs a little winter wonderland complete with mini ice skating rink, giant gingerbread man cookies, and holiday pop-up shops just across the street. 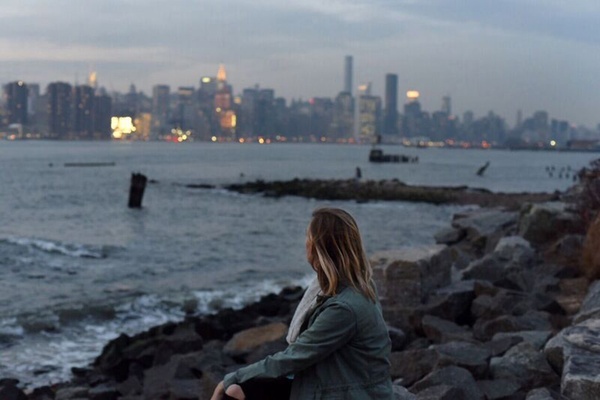 Brooklyn Bridge Park is the best place to see the skyline twinkle from afar, but if you want a more private experience, head over to the Williamsburg/Greenpoint border and walk down to the shore at Bushwick Inlet Park. You’ll be one of just a few people there, a rare place to soak up some solitude while gazing at the best holiday light show around — Manhattan sunsets. The pretty lights (not just at Christmas time) viewed from Brooklyn. Brooklyn mainstay Catbird has become well known for its exquisite collection of dainty jewelry, handmade by local artists and designers. The small store has a nice selection of beauty products, note cards, and stocking stuffers that are anything but run-of-the-mill. New York knows a thing or two about pop-up (jewelry, craft beers, vintage treasures, wooden stereos, home goods, artisanal foods) shops. You can find them in every borough, a nice antidote to big box shopping on the avenues. I really liked the offerings at ID Pop Up Shop (446 West 14th Street in Manhattan) and Roberta’s Holiday Market (261 Moore Street in Brooklyn). Check NYCGo, Flavorwire, NYMag, and Brooklyn Based for other market happenings. A classic NYCscape. Looks good any time of year. Anna is a travel, culinary, and lifestyle photographer currently based in Kansas City. You can follow her on Instagram at @annapetrow. She travels because life is better spent in new places.